Released on July 27, 2018 by Blue Chair Records - Warner Bros.
Kenny Chesney, Producer, Lead Vocals, Writer, MainArtist - Tom Douglas, Writer - Scooter Carusoe, Writer - Jimmie Lee Sloas, Bass - Kenny Greenberg, Electric Guitar - Andrew Mendelson, Masterer - F. Reid Shippen, Mixer, Programmer - John Willis, Acoustic Guitar - Eddie Bayers, Drums - BUDDY CANNON, Producer - Michael Rojas, Piano, Synthesizer - Danny Rader, Acoustic Guitar, Electric Guitar - Tony Castle, Engineer - Wyatt Beard, Background Vocals - Jason Mott, Assistant Engineer - Sean Badum, Assistant Engineer - Andrew Darby, Engineer - Alena Moran, Assistant Mixing Engineer - Dan "DB" Bacigalupi, Assistant Mixing Engineer - Bobbi Giel, Engineer - Taylor Chadwick, Engineer Copyright : 2018 Blue Chair Records, LLC under exclusive license to Warner Music Nashville LLC. 2018 Blue Chair Records, LLC under exclusive license to Warner Music Nashville LLC. Kenny Chesney, Producer, Lead Vocals, MainArtist - Jimmie Lee Sloas, Bass - Kenny Greenberg, Electric Guitar - Andrew Mendelson, Masterer - F. Reid Shippen, Mixer - John Willis, Guitar - BUDDY CANNON, Producer - Michael Rojas, Organ - MAC MCANALLY, Acoustic Guitar - Danny Rader, Bouzouki - Shannon Finnegan, Co-ordinator Production - Tony Castle, Recorded by - Jason Mott, Assistant Engineer - Josh Osborne, Writer, Background Vocals - Shane McAnally, Writer - Sean Badum, Assistant Engineer - Mark Beckett, Drums - Andrew Darby, Engineer - Alena Moran, Assistant Mixing Engineer - Dan "DB" Bacigalupi, Assistant Mixing Engineer - Bobbi Giel, Engineer - Taylor Chadwick, Engineer Copyright : 2018 Blue Chair Records, LLC under exclusive license to Warner Music Nashville LLC. 2018 Blue Chair Records, LLC under exclusive license to Warner Music Nashville LLC. Kenny Chesney, Producer, Lead Vocals, Writer, MainArtist - Sam Bacco, Percussion - Jon Randall, Writer, Background Vocals - Jimmie Lee Sloas, Bass - Kenny Greenberg, Electric Guitar - Andrew Mendelson, Masterer - F. Reid Shippen, Mixer, Programmer - Lowell Reynolds, Assistant Engineer - John Willis, Acoustic Guitar - Eric Darken, Percussion - BUDDY CANNON, Producer - Michael Rojas, Organ, Synthesizer - Danny Rader, Acoustic Guitar, Electric Guitar - Shannon Finnegan, Co-ordinator Production - Tony Castle, Recorded by - Jason Mott, Assistant Engineer - Sean Badum, Assistant Engineer - Mark Beckett, Drums - Andrew Darby, Engineer - Alena Moran, Assistant Mixing Engineer - Dan "DB" Bacigalupi, Assistant Mixing Engineer - Bobbi Giel, Engineer - Taylor Chadwick, Engineer Copyright : 2018 Blue Chair Records, LLC under exclusive license to Warner Music Nashville LLC. 2018 Blue Chair Records, LLC under exclusive license to Warner Music Nashville LLC. Kenny Chesney, Producer, Lead Vocals, Writer, MainArtist - Scooter Carusoe, Writer - Jimmie Lee Sloas, Bass - Andrew Mendelson, Masterer - F. Reid Shippen, Mixer - Lowell Reynolds, Assistant Engineer - John Willis, Guitar - Eric Darken, Percussion - Eddie Bayers, Drums - BUDDY CANNON, Producer - Michael Rojas, Organ - Robert Greenidge, Steel Drums - Danny Rader, Acoustic Guitar - Shannon Finnegan, Co-ordinator Production - Tony Castle, Recorded by - Ziggy Marley, FeaturedArtist, With Vocals - Sean Badum, Assistant Engineer - Andrew Darby, Engineer - Alena Moran, Assistant Mixing Engineer - Matt Dyson, Assistant Engineer - Dan "DB" Bacigalupi, Assistant Mixing Engineer - Bobbi Giel, Engineer - Taylor Chadwick, Engineer Copyright : 2018 Blue Chair Records, LLC under exclusive license to Warner Music Nashville LLC. 2018 Blue Chair Records, LLC under exclusive license to Warner Music Nashville LLC. Kenny Chesney, Producer, Lead Vocals, MainArtist - Jimmie Lee Sloas, Bass - Kenny Greenberg, Electric Guitar - Andrew Mendelson, Masterer - F. Reid Shippen, Mixer, Programmer - Lowell Reynolds, Assistant Engineer - John Willis, Guitar - Eric Darken, Percussion - BUDDY CANNON, Producer - Michael Rojas, Piano, Synthesizer - MAC MCANALLY, Acoustic Guitar - Danny Rader, Acoustic Guitar, Electric Guitar - Shannon Finnegan, Co-ordinator Production - Tony Castle, Recorded by - Jason Mott, Assistant Engineer - Josh Osborne, Background Vocals - Sean Badum, Assistant Engineer - Ben Schneider, Writer - Mark Beckett, Drums, Percussion - Andrew Darby, Engineer - Alena Moran, Assistant Mixing Engineer - Dan "DB" Bacigalupi, Assistant Mixing Engineer - Bobbi Giel, Engineer - Taylor Chadwick, Engineer Copyright : 2018 Blue Chair Records, LLC under exclusive license to Warner Music Nashville LLC. 2018 Blue Chair Records, LLC under exclusive license to Warner Music Nashville LLC. Kenny Chesney, Producer, Lead Vocals, MainArtist - David Huff, Programmer - Jimmie Lee Sloas, Bass - Kenny Greenberg, Electric Guitar - Andrew Mendelson, Masterer - Chad Cromwell, Drums - F. Reid Shippen, Mixer - BUDDY CANNON, Producer - Michael Rojas, Piano - Danny Rader, Acoustic Guitar - Shannon Finnegan, Co-ordinator Production - Seth Morton, Assistant Engineer - Tony Castle, Recorded by - Wyatt Beard, Background Vocals - Derek Wells, Electric Guitar - Andrew Darby, Engineer - Tom Freitag, Assistant Engineer - Alena Moran, Assistant Mixing Engineer - Dave "Squirrel" Covell, Assistant Engineer - Dan "DB" Bacigalupi, Assistant Mixing Engineer - John Baumann, Writer - Bobbi Giel, Engineer - Taylor Chadwick, Engineer Copyright : 2018 Blue Chair Records, LLC under exclusive license to Warner Music Nashville LLC. 2018 Blue Chair Records, LLC under exclusive license to Warner Music Nashville LLC. Kenny Chesney, Producer, Lead Vocals, Writer, MainArtist - Jimmie Lee Sloas, Bass - Kenny Greenberg, Electric Guitar - Andrew Mendelson, Masterer - F. Reid Shippen, Mixer - BUDDY CANNON, Producer - Michael Rojas, Organ - MAC MCANALLY, Acoustic Guitar, Writer, Background Vocals - Robert Greenidge, Steel Drums - Danny Rader, Electric Guitar - Shannon Finnegan, Co-ordinator Production - Tony Castle, Recorded by - Jason Mott, Assistant Engineer - Josh Osborne, Background Vocals - Sean Badum, Assistant Engineer - Mark Beckett, Drums, Percussion - Andrew Darby, Engineer - Alena Moran, Assistant Mixing Engineer - Matt Dyson, Assistant Engineer - Dan "DB" Bacigalupi, Assistant Mixing Engineer - Bobbi Giel, Engineer - Taylor Chadwick, Engineer Copyright : 2018 Blue Chair Records, LLC under exclusive license to Warner Music Nashville LLC. 2018 Blue Chair Records, LLC under exclusive license to Warner Music Nashville LLC. 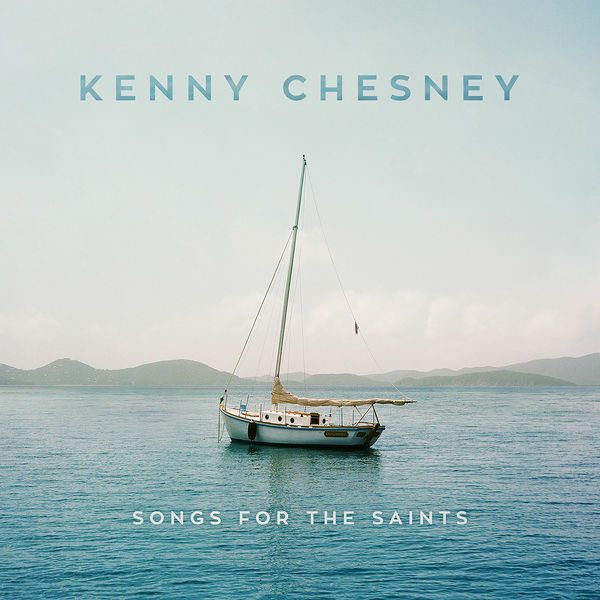 Kenny Chesney, Producer, Lead Vocals, MainArtist - Jimmy Buffett, Writer, FeaturedArtist, With Vocals - Mickey Raphael, Harmonica - Andrew Mendelson, Masterer - F. Reid Shippen, Mixer - Eric Darken, Percussion - BUDDY CANNON, Producer - MAC MCANALLY, Acoustic Guitar, Background Vocals - Shannon Finnegan, Co-ordinator Production - Tony Castle, Recorded by - Jason Mott, Assistant Engineer - Andrew Darby, Engineer - Alena Moran, Assistant Mixing Engineer - Dan "DB" Bacigalupi, Assistant Mixing Engineer - Bobbi Giel, Engineer - Taylor Chadwick, Engineer - Ryan Malone, Assistant Engineer Copyright : 2018 Blue Chair Records, LLC under exclusive license to Warner Music Nashville LLC. 2018 Blue Chair Records, LLC under exclusive license to Warner Music Nashville LLC. Kenny Chesney, Producer, Lead Vocals, Writer, MainArtist - David Lee Murphy, Writer - David Huff, Programmer - Jimmie Lee Sloas, Bass - Kenny Greenberg, Electric Guitar - Casey Beathard, Writer - Andrew Mendelson, Masterer - Chad Cromwell, Drums - F. Reid Shippen, Mixer - BUDDY CANNON, Producer - Michael Rojas, Organ - Robert Greenidge, Steel Drums - Danny Rader, Acoustic Guitar - Shannon Finnegan, Co-ordinator Production - Seth Morton, Assistant Engineer - Tony Castle, Recorded by - Wyatt Beard, Background Vocals - Derek Wells, Electric Guitar - Andrew Darby, Engineer - Tom Freitag, Assistant Engineer - Alena Moran, Assistant Mixing Engineer - Dave "Squirrel" Covell, Assistant Engineer - Dan "DB" Bacigalupi, Assistant Mixing Engineer - Bobbi Giel, Engineer - Taylor Chadwick, Engineer Copyright : 2018 Blue Chair Records, LLC under exclusive license to Warner Music Nashville LLC. 2018 Blue Chair Records, LLC under exclusive license to Warner Music Nashville LLC. Kenny Chesney, Producer, Lead Vocals, MainArtist - Liz Rose, Writer - Travis Meadows, Writer - Jimmie Lee Sloas, Bass - Kenny Greenberg, Electric Guitar - Andrew Mendelson, Masterer - F. Reid Shippen, Mixer - John Willis, 12 String Guitar - BUDDY CANNON, Producer - Michael Rojas, Piano, Synthesizer - MAC MCANALLY, Acoustic Guitar - Mindy Smith, FeaturedArtist - Danny Rader, Acoustic Guitar - Shannon Finnegan, Co-ordinator Production - Tony Castle, Recorded by - Jason Mott, Assistant Engineer - Sean Badum, Assistant Engineer - Andrew Darby, Engineer - Alena Moran, Assistant Mixing Engineer - Dan "DB" Bacigalupi, Assistant Mixing Engineer - Bobbi Giel, Engineer - Taylor Chadwick, Engineer Copyright : 2018 Blue Chair Records, LLC under exclusive license to Warner Music Nashville LLC. 2018 Blue Chair Records, LLC under exclusive license to Warner Music Nashville LLC.